Some rather smoove prizes, don't ya think? What is your favorite prize offered this year at the Fair? Very cool. What's the actual name of the green balloon? Just green balloon? 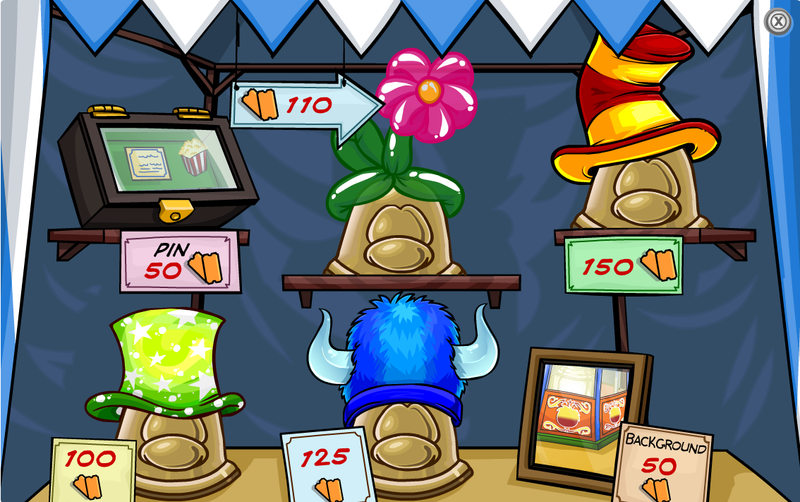 As for your suggestion regarding a Ticket pin and a hand item such as a bag of popcorn, these are great ideas for new prize items at the Fair. I bet lots of penguins would be thrilled to collect these items during the Fair. I know I would. I am loving all the new prizes! Its a bit of a shame that they were so easy to get but atleast i got them all! On another note i am an old non member (about 1600 days old) and i have both the paddle and the candy floss from old events! i really like the popcorn! I like that red and yellow hat. It's the most expensive thing I can get (since I'm a non-member). Yepadoodles. It's like the Green Hoodie or the blue ball cap. Pretty simple actually. Mimo this has nothing to do with the fair but look what happens when you dance with a green hoodie! It's not rare. it's and old item from an old fall fair years ago. maybe it will come back next year. Non-Members prizes get worse every year. You know they brought back the paddle ball and the cotton candy only for members thoough. Yeah but members is like not expensive because theres are lot of stuff they can buy in the gift shop. My favorite item at the fall fair is the padle ball! (the best item forever). 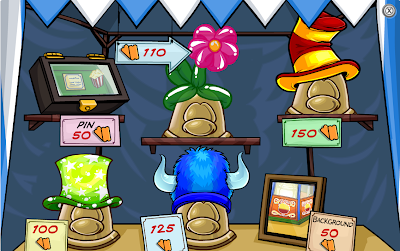 The Ping pong paddle and the fairy floss are not member items..
you just have to "sneak" into the member area and buy them. Non-Members always get HATS whats wrong! My favorite prize is the ballon hat cuz last year we got the other hats just different colors. and the paddle ball and im not a member!! Oh and what green ballon? Sorry I haven't posted in like forever. 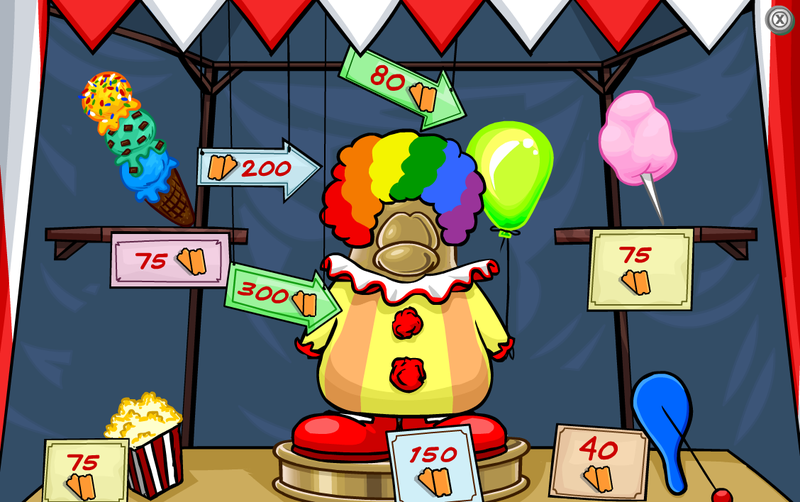 I too have had all the prizes from oldler fairs, but as it is, your are lucky to have those items as a nonmember! This year the paddle and floss are members only! The green balloon is a member prize. i am 1155 days old and i too have the cotton candy and paddleball! there's a glitch! i didn't move for over twenty mins in the cove and i didnt automatically go offline! I really like the box op popcorn!! I hope they add even MORE stuff! Do you know what's weird Mimo? My membership expired on Thursday, and I got the Clown costume, the ice cream cone and the pink cotton candy. Well, today, I went on and I could use the pink cotton candy! I'm not even a member anymore! I must say I love the paddle ball! :) I'm so glad they brought it to the fair. My fave was the paddle. mine would have to be the puffle paddle because i love the game. my second favourite would be the pin because im collecting pins.